Did you know that Google has a Jammu Connection? Meet Rajeev Motwani. This Stanford professor was the mentor of Google founders Larry Page and Sergey Brin during their PdH Days. He has also been and advising founder of Paypal. Working together with Page and Brin, Rajeev taught and advised the first employee of Google, Craig Silverstein. He was known as the one who motivated people to be entrepreneurs and co-invested in a number of firms like Google, Kaboodle, Momosa Systems, VuClip, NeoPath Network, to name a few. A student of the prestigious St Coloumba’s School in New Delhi, Motwani was born in Jammu and Kashmir on March 26, 1962 to an Indian Army father Lt. Colonel Hotchand Motwani, and mother Namita Motwani. As his father was in the army, he traveled a lot and studied at various schools across the country. 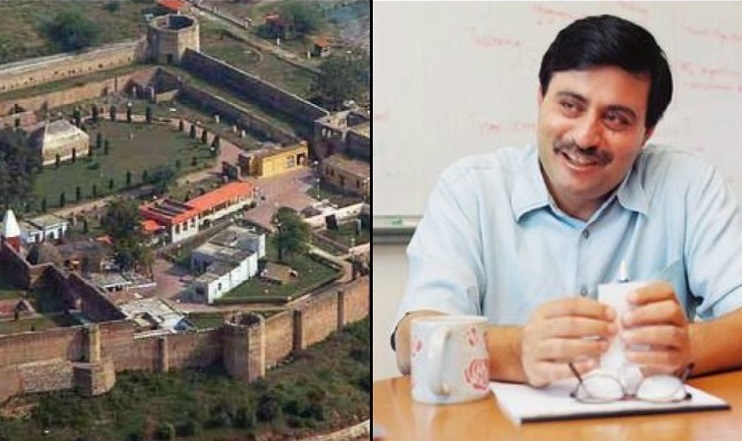 His stint in J&K was brief, as after earning his Bachelors in Computer Science from IIT Kanpur in 1983, he went to the US to get his PhD in Computer Science from University of Berkeley in 1988. Soon thereafter he joined Stanford. He was an enthusiastic Computer Science professional and extremely passionate about technology. He was widely known for his research. Rajeev’s research included data privacy, web search, robotics, and computational drug design and also one of the originators of the Locality-sensitive hashing algorithm. While growing up, Rajeev was deeply inspired by mathematician Gauss, “This was partly shaped by the books I had at home. My parents for some reason had a lot of these books – 10 great scientists or five famous mathematicians – their life stories and so on. As a child, whatever heroes you read about you want to become.”, he said in an interview. He wrote two books — Randomized Algorithms and an undergraduate textbook published in 2001. In June 5, 2009, Rajeev Motwani’s Death sent a shock wave throughout the Silicon Valley. The 47-year-old Motwani’s body was found in the backyard swimming pool of his Palo Alto home in California on Friday. There was no official word about the cause of his death.